When Goku and Vegeta work as a team, they have proven almost unbeatable. I think they can beat Naruto and Sasuke on their best day. 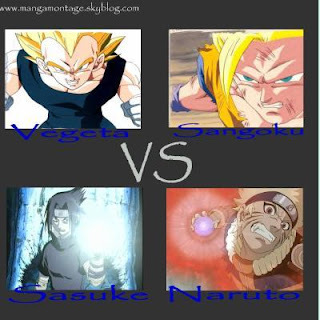 Goku or Vegeta alone could defeat both of them without even going into super saijan. This is coming from a naruto fan.